The “lightweight” Janome 3128 is only lightweight when you pick it up – just 12 pounds! Small but mighty, it will take on any of your sewing projects! Perfect to take on a trip, for class, or for a beginner. Quilters — it even includes a FREE 1/4″ foot! The Janome 3128 is a value-priced machine with the power and precision necessary to take on any of your sewing projects – and it weight just 12 pounds! A package of 10 Janome bobbins! The 3128 offers eight stretch and utility stitches including a four-step buttonhole. Stitch selection dial and easy to follow lay in threading make it easy to use right out of the box. A FREE 1/4″ seam foot and convertible free arm make it versatile as well. 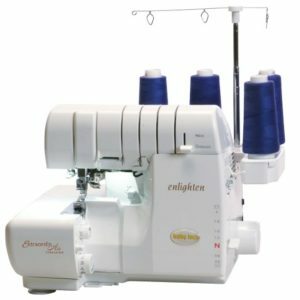 A great machine for the beginning or returning sewist!